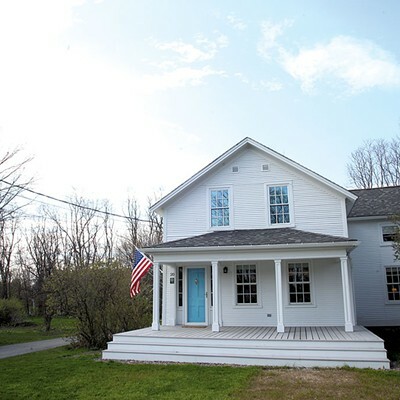 Lorraine Siciliano remembers the moment when she and her husband, Brian Joyce, faced the decision: Should they spend the money to renovate their circa 1848 farmhouse in Burlington's now-suburban New North End, or plow the cash into a new house? "It was fish-or-cut-bait time; we either had to leave or fix it up," said Siciliano, recalling the cramped kitchen, dirt-floor basement, drab vinyl windows and poorly insulated plaster walls covered with layers of wallpaper and paint. That's not all she pictured, though, as she made her decision. 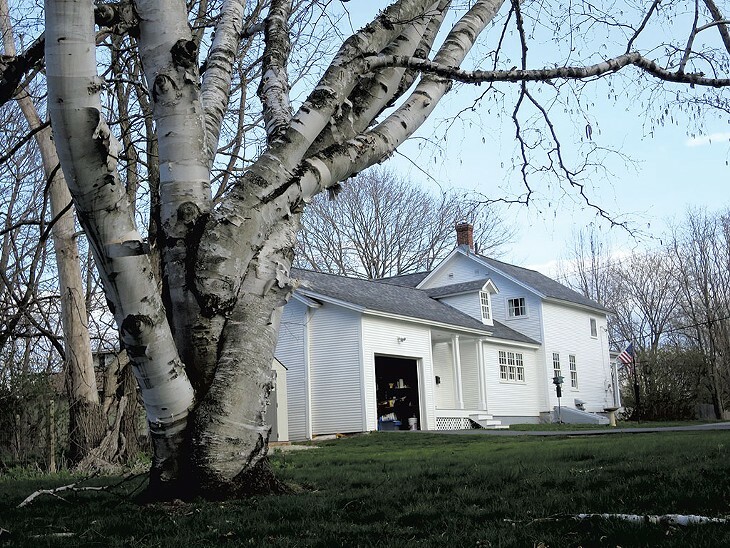 The house at 20 Derway Drive, which will be featured on Preservation Burlington's Homes Tour on Saturday, June 4, is one of Burlington's oldest remaining farmhouses. The Greek Revival structure had good bones and many happy family memories to go with its cracked plaster. When Joyce suggested they move, "I was voted down," he said, smiling at his wife one afternoon last week. Siciliano decided she didn't want to sell the house where the couple's two children had grown up and see someone else move in and fix it up. 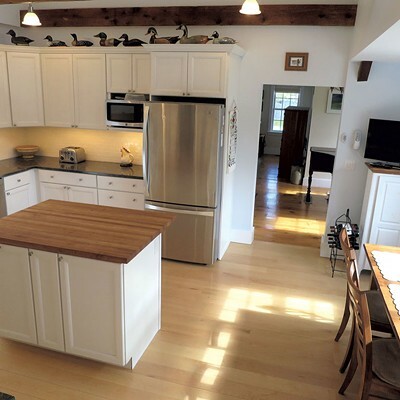 So, in August 2014, the couple hired Chittenden County contractor Rob Ricketson to do an extensive renovation of the first floor (the upstairs awaits phase two). Three months later, the classic white clapboard house with a deep front porch was sitting pretty. The makeover will be on display during the tour, along with a folder of maps, land records and newspaper clippings that detail the history of the house, compiled by a Preservation Burlington volunteer. The Derway Drive home was built on land owned by Elizabeth Bigelow, wife of prominent businessman Lawrence Bigelow, and likely was first inhabited by their farm manager, John Derway, and his family. Back in the mid-1800s, this northernmost section of Burlington was a sweep of farmland between Lake Champlain and the high banks of the meandering Winooski River. The Derway farm was home to the following livestock, according to the 1850 Vermont agricultural census: three horses, eight milk cows, six working oxen and three swine. A decade later, the house was moved about 160 feet west to accommodate city plans for a right-of-way to extend North Avenue into the hinterlands. Today, the neighborhood is lined with modest Capes and ranch-style homes along with a smattering of condominiums, apartments and patches of trees that break up the suburban development. The farmhouse's presumed birthday is noted on a green-and-white Preservation Burlington plaque affixed to the exterior. Those plaques are a familiar sight around the city and a visible reminder of Preservation Burlington's work. Since 1998, the nonprofit has labored to protect historic properties through a combination of praise, prodding and protest. Its founders were a group of Burlington residents alarmed by the deterioration of historic homes in the core of the city. Many single-family homes had been converted to college-student rentals, with attendant noise, late-night partying and parking issues. 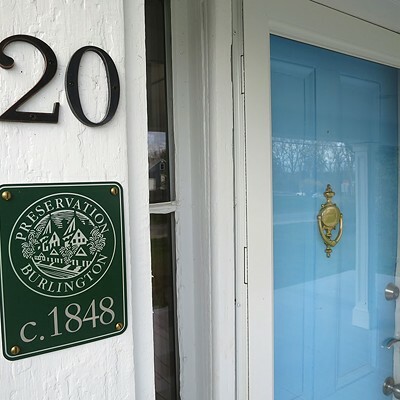 Preservation Burlington pushed for more dorms on campus and successfully lobbied for passage of a city ordinance that limits to four the number of unrelated adults who can reside in single-family dwellings on certain streets. 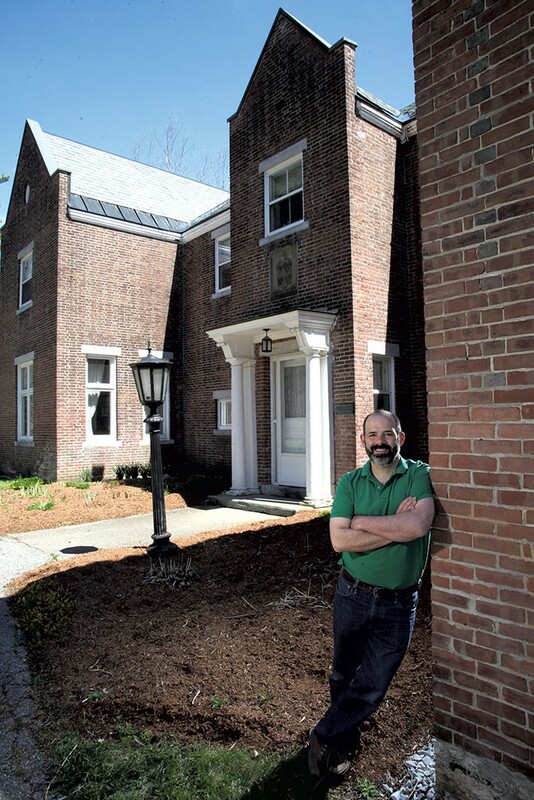 "It was really a quality-of-life issue that started the group," said Preservation Burlington home tour chairman Matthew Viens. Still, the housing issue has proved difficult to resolve: Loud kegfests, parking wars and packed student rentals remain a town-gown problem even with additional campus dormitories. Meanwhile, Preservation Burlington has expanded beyond that cause. The all-volunteer membership has helped save several structures from demolition, including Henry's Diner on Bank Street and the Varney House on Cherry Street. Preservation Burlington bestows annual awards to celebrate local restoration and holds do-it-yourself workshops on such tasks as reglazing old windows. The organization discourages the replacement of historic slate roofs with asphalt shingles and the use of aluminum or vinyl siding to cover original wood shingles or clapboard. City zoning codes impose restrictions on replacement materials in Burlington's historic districts but allow certain exceptions. Slate gives way to asphalt roofing at many sites around town, and it's not unusual to see stacks of original windows that have been torn out of old houses and dumped at the curb with a "free" sign. Some property owners object loudly when city hall tells them they should caulk creaky storm windows made when Calvin Coolidge was president. Even Preservation Burlington board members have heatedly debated the issue of replacement windows, Viens acknowledged. But they stand firm on the underlying principle. When, piece by piece, the features of an old residence are stripped, hacked or obscured with clunky siding, "pretty soon you can't even see the historic home underneath," Viens said. At $20 per "tourist," the annual homes tour is the organization's biggest fundraiser. 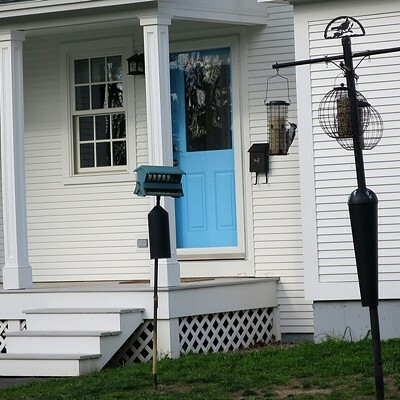 Making it happen is an exercise in persuasion: Just how do you convince homeowners to open their doors to hordes of curious visitors? Preservation Burlington board members start by holding tour-brainstorming sessions, then dispatch a friend of each homeowner of a recommended property to make the pitch. Viens has also been known to make "cold calls" when he sees a house with potential. "Frequently I'll just go knock on the front door," he said. 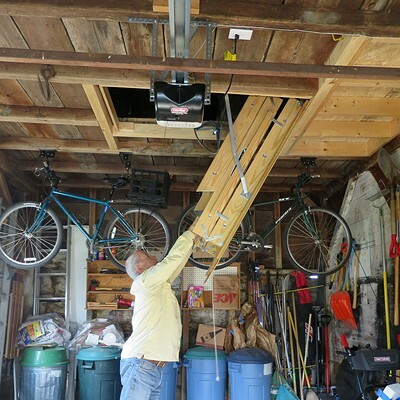 Sometimes total strangers grant his request — and, in June, find hundreds of people traipsing through their homes and gardens. Homeowners are more likely to agree to the tour after a renovation when they feel their property is at its best, Viens said. That was the case with Siciliano, who works at the Department of Vermont Health Access, and Joyce, a former WCAX-TV reporter who now works for the Department of Homeland Security. The couple readily showed a Seven Days reporter around last week, offering a sneak peek of their home tour. 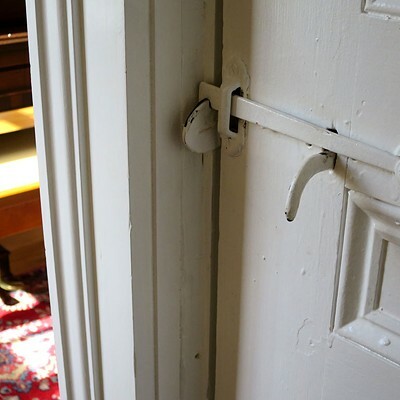 Original paneled doors with latches have been painted and preserved. 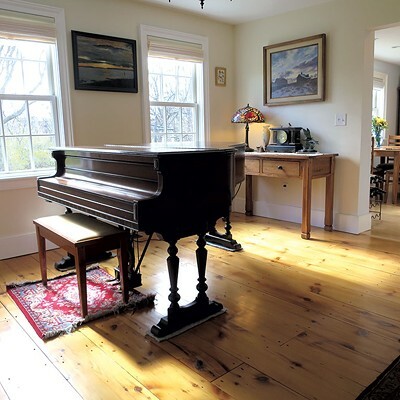 The gleaming wide-plank wood floors were pulled up, trimmed where previous sanding had worn off the old tongue-and-groove fittings, reset and refinished. Ricketson, who was at the house during the reporter's tour, explained how the markings on the planks showed that they had been cut in a water-powered sawmill. Siciliano and Joyce opted not to save the plaster-and-lathe walls, so Ricketson took them down to the studs. Inside the wall cavities, the workers found a jumble of bricks apparently intended as insulation and fireproofing — an old Yankee technique that was not uncommon in 19th-century homes. The contractor's team hauled out the bricks, insulated the new sheetrock walls and painted them so they no longer resembled a "wallpaper museum," as Siciliano described the "before" scene. The dirt basement was finished with a poured-concrete floor, and the remains of an ossified opossum were removed. 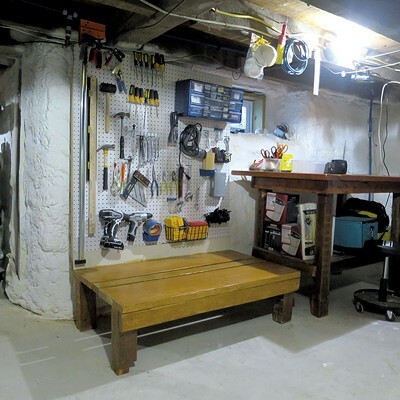 Joyce outfitted the formerly dank space in classic man-cave style, with tools and a shop bench. The old stone foundation is still visible, as are thick cypress floor joists fitted together with mortise-and-tenon joints. 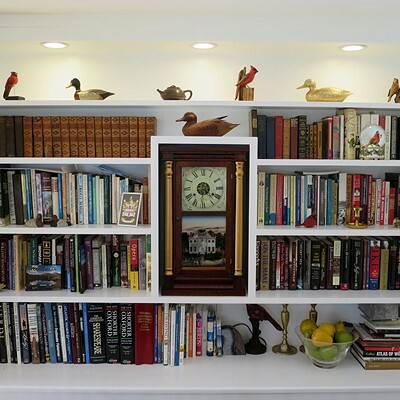 The makeover did not add footage to the home, but it opened up cramped nooks, hallways and porches that had been added piecemeal to the 30-by-30-foot core of the farmhouse over the years. The result is a much brighter, airier house that will live on for many years to come — and makes its current residents happy. "Nothing about the footprint of the house changed," Siciliano said. "It just needed to be dragged out from collapsing upon itself." In saving it, she's sure she made the right choice. The original print version of this article was headlined "A Farmhouse Reborn"